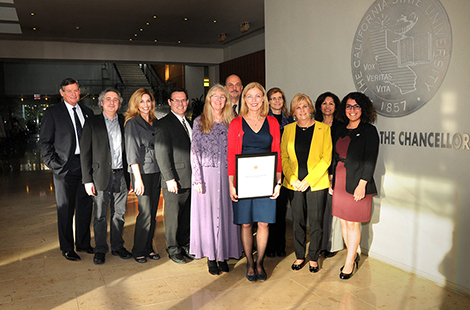 CSUN has been named an Apple Distinguished Program. The designation is reserved for schools and campuses that demonstrate visionary leadership, innovative teaching and learning ongoing professional learning, and flexible learning environments. Read more about the initiative. CSUN alumna Treshelle Edmond was chosen to sign the national anthem and “America the Beautiful” before a worldwide audience at Super Bowl XLIX in Arizona. Read more about Treshelle Edmond. CSUN professors Ivan Cheng and Andy Ainsworth are collaborating on a $1.6 million grant to develop an app that will revolutionize how math is taught to K-12 students. Read more about the project. Sat., Feb. 7, 7:30 p.m. Mon., Feb. 9, 7:30 p.m. Tue., Feb. 10, 7:30 p.m.
As you approach retirement, Savings Plus can help you prepare for this next stage of your life. This workshop helps you evaluate your retirement income needs and provides ideas on how to efficiently manage your assets in retirement. Join representatives from Benefits Administration, Admissions and Records, and Student Accounting to learn how you can use the Fee Waiver Program if you are thinking about enrolling in a degree program or want to transfer the benefit to an eligible dependent. New Horizons, one of the region’s oldest and most respected providers of services to adults with developmental disabilities and other special needs, will host a screening of the award-winning documentary ‘Perfectly Normal’ on Thursday, Feb. 12 at CSUN.